Book Learn Pass was founded in 2015. Its the UK’s first driving lesson comparison website and it generates thousands of unique visitors a month. The website compares and reviews the prices of hundreds of driving schools throughout the UK, helping you save money on the cost of your driving lessons. As well as helping learner drivers find and book cheap driving lessons, the site also has a number of educational resources learner drivers can make use of as they learn to drive. The website has articles and guides covering things such as how to apply for your provisional drivers license, advice on booking a theory or practical driving test and tips to help you pass your driving test. Book Learn Pass is a complete resource for all learner drivers looking to book driving lessons, or those preparing for an up and coming driving test. Learner drivers can read through driving school reviews on this website to get a better understanding of the driving instructors in their local area. Reviews on this website take into account things such as the price for a specific driving course and whether or not the driving school has a good reputation. Driving school reviews on this website also cover things such payment methods accepted by each company and whether or not they have male and female driving instructors available. What Can Learner Drivers Expect from Book Learn Pass? Learner drivers and website visitors in general can expect to find impartial reviews of local driving schools, in-depth articles and advice on about learning to drive and tips on driving in general. Content on this website is written by fully qualified driving instructors and professional drivers with a number of years experience. How Does Book Learn Pass Make Money? Book Learn Pass is completely free to use. We do not charge learner drivers to book driving lessons through the platform, however we do have relationships with some of the driving schools listed on this website. This relationship allows us to partner with these driving schools to offer driving lessons, from which Book Learn Pass earns a commission. All reviews on the website are fair, impartial and unbiased, irrespective of whether Book Learn Pass has a existing relationship with the driving school or not. How Does Book Learn Pass Work? 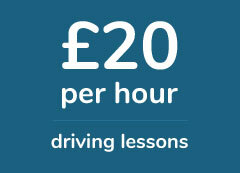 Book Learn Pass takes the hassle out of looking for and booking driving lessons online. The website makes the entire process much easier and all a learner driver has to do is fill in a short contact form and Book Learn Pass will do the rest. We search, compare and review hundreds of driving schools and once we understand an individuals specific requirements, we book driving lessons that match their needs and budget. For more information on Book Learn Pass, you can read the thoughts of satisfied customers here.